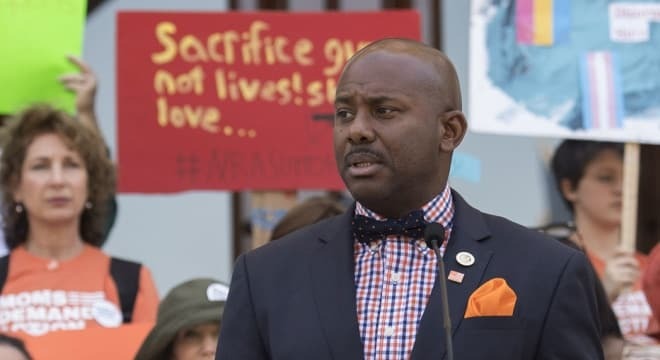 “This bill will help improve public safety by protecting the rights of responsible gun owners while preventing criminals and those who should not otherwise possess a firearm from gaining access,” said Assemblymember Mike Gipson, D-Gardena, sponsor of the bill. In remarks to lawmakers, Gipson cites the case of a Rancho Tehama man who built an unregulated rifle he later used in a shooting last year that left five dead. The man, Kevin Janson Neal, was barred from possessing a firearm under state law. Gipson’s bill would require those who sell many common gun parts but do not currently have a federal firearms license to acquire a proposed Firearm Precursor Parts vendor license. The license would be needed for those who sell firearms barrels, magazines, speed loaders, unfinished frames, receivers and side plates; finished upper receivers or slides, as well as trigger packs or fire control groups. Vendors would have to meet undefined California Department of Justice requirements but could only sell such parts to individuals who pass a background check administered by DOJ– for which a $1 fee would be charged for each part. This is to help offset the estimated $6 million needed to set up the licensing and regulation. All sales would require the vendor to log the buyer’s personal information such as name, address, driver’s license number and items purchased. The record would be uploaded on a regular basis to the DOJ’s new Firearm Precursor Part Purchase Records File, established by the bill. Further, no parts could be sold to those under age 21. Violators who either buy or sell parts illegally would face six months in jail and as much as $1,000 in fines. The only exceptions to the regulation are for military, police and those who sell only one part or less in a 30-day period. AB2382 is currently in the Senate Committee on Public Safety. Earlier this month, Gipson put on a traveling “Stop the Gun Violence Now” event in conjunction with Everytown, stumping for more gun control at five different locations across his district.